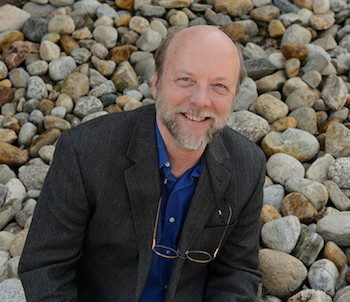 Originally from the upper Midwest, Robert Thorson lived in Alaska, California, Washington, and Wisconsin before arriving in New England in 1984. Along the way, he earned a Ph.D from the University of Washington, spent five years with the U.S. Geological Survey and worked for various federal, state, and private agencies, including the National Geographic Society to the Japanese Ministry of Culture. He is Professor of Geology at the University of Connecticut. Thor’s most recent book is The Guide to Walden Pond, a guidebook to Henry David Thoreau’s most defining place, published by Houghton Mifflin Harcourt and developed in collaboration with the Walden Woods Project. He is the author, of two other books about Henry David Thoreau, Walden’s Shore:Henry David Thoreau and Nineteenth-Century Science and The Boatman:Henry David Thoreau’s River Years, both published by Harvard University Press. Stone by Stone: The Magnficent History in New England’s Stone Walls was published by Walker Books and won the 2003 Connecticut Book Award in the nonfiction category. He has, since then, established the Stone Wall Initiative (see the website at: Stone Wall Initiative). He speaks widely about stone walls, landscape, and nature, and is an essayist and opinion journalist for the Hartford Courant. Thor also is the author of Exploring Stone Walls and Beyond Walden, both published by Walker Books/Bloomsbury USA.